Practical lighting design involves devising three-dimensional light fields that create luminous hierarchies related to the visual significance of each element within a scene. 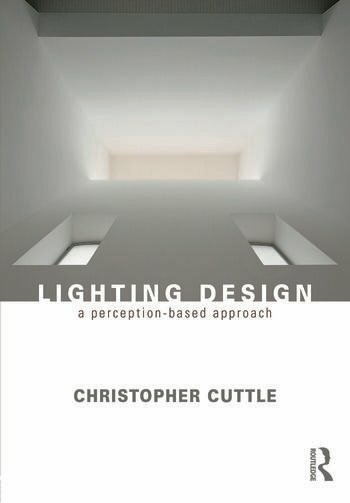 By providing you with everything you need to develop a design concept - from the understanding of how lighting influences human perceptions of surroundings, through to engineering efficient and effective lighting solutions – Kit Cuttle instills in his readers a new-found confidence in lighting design. Christopher Cuttle, MA, FCIBSE, FIESANZ, FIESNA, FSLL, is a lighting designer, educator, and author who lives in New Zealand. He gained broad experience of lighting in the UK before taking up academic positions in New Zealand (Senior Lecturer in schools of architecture in Wellington and Auckland) and in the USA (Head of Graduate Education in Lighting at the Lighting Research Center, Rensselaer Polytechnic Institute, New York). His books Lighting by Design (2003, 2nd edition 2008), and Light for Art’s Sake (2007), are both published by Routledge.